The team over at Gadgethelpline got a chance recently to peek into Android 4.4 KitKat and see what the next incremental Android update will bring. When Google prepares to release a new update, it is assumed that there will be more bug fixes with the new update than anything else; however, Google’s got some pleasant surprises in store for Android users, surprises that will make you want to receive the latest update as soon as possible. We will now dig into some of what you can expect in Android 4.4 KitKat. 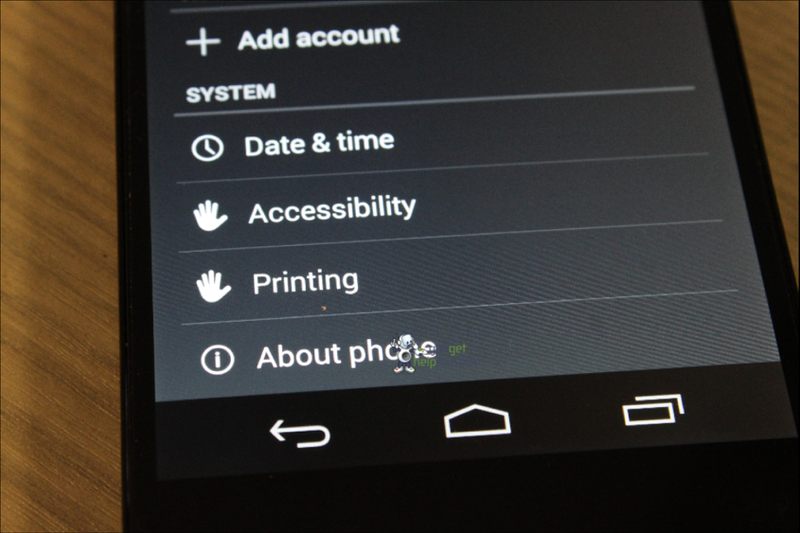 Currently, there is no printing option within Android’s OS. You can save an image in Gmail and print it off on a laptop or PC that is connected to a printer. However, there is no way to print an image within the Gallery app. This will change with Android KitKat (Android 4.4). Android KitKat will allow in-app printing within the gallery app, and gadgethelpline seems to think that there will be some sort of Google Cloud Print integration implemented within the soon-to-be-announced update. Not only will you get to print images, but you will also get a chance to print documents and save them as PDFs. 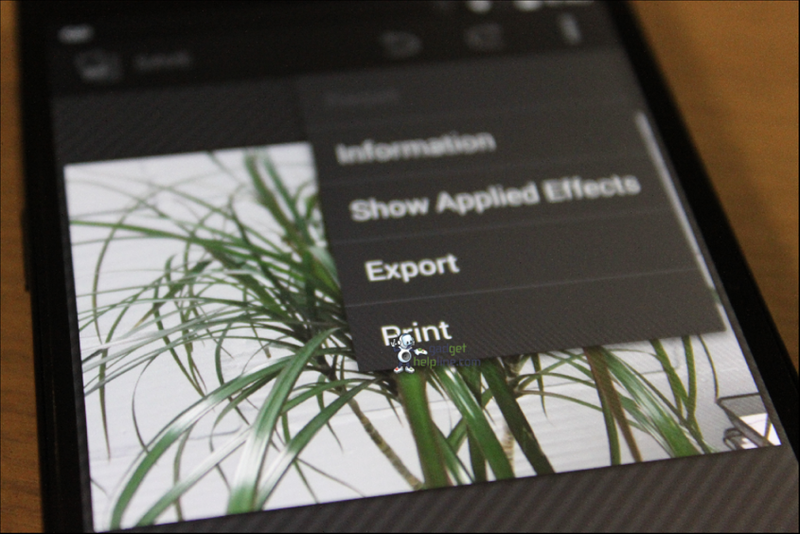 As with all printing options, you will get to choose the colors (there is even a “black and white” option), portrait/landscape mode, the number of pages (whether all or a select few), and so on. 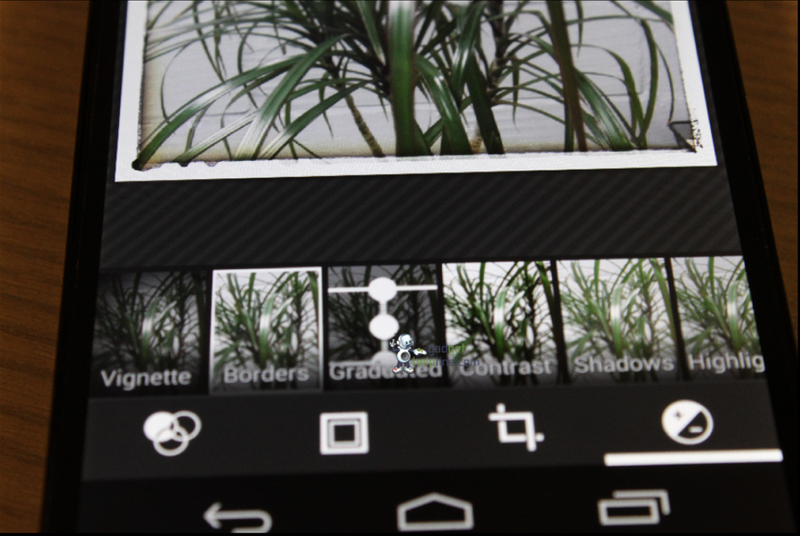 If you’re the owner of an Android device, it’s likely you have camera filter options already in your current OS. My Nexus 7 has several photo effects (such as vignette, contrast, shadows, highlights, vibrance, saturation, curves, hue, BW filter, and so on). 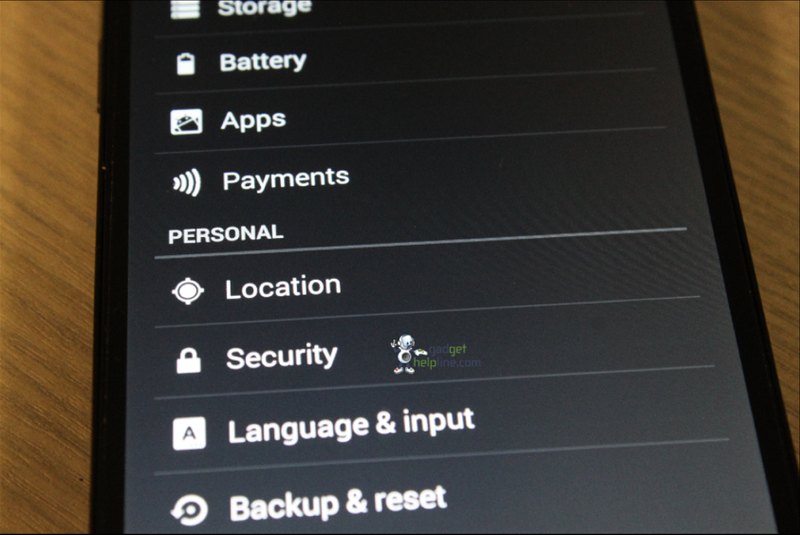 With Android KitKat (Android 4.4), users will receive another exposure setting called “graduated” exposure. The picture below doesn’t show much as to what this filter will do, but we will find out soon enough. Gadgethelpline says that there isn’t much added to the camera options, so we don’t get to see if any of the other photo editor options are new as of yet. 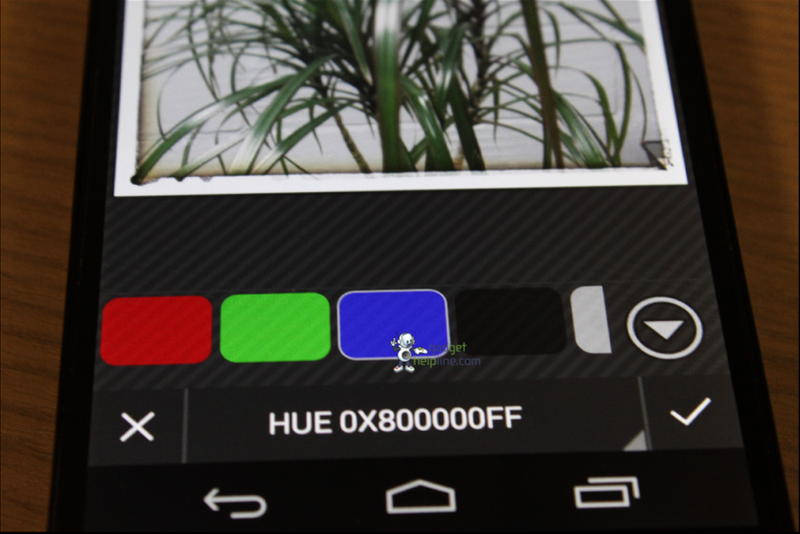 Another Android KitKat camera option to expect involves the hue exposure setting. While this has been in Android Jelly Bean for some time, the new hue setting will allow users to choose between red, blue, or green hues to make photos even clearer than before. These photo editor options will add more fun to your photography experience. Do you feel that your apps update automatically and consume too much data? I have a Nexus 7 data tablet and find that my apps are always updating by way of my cellular data. Every time I plug in my Nexus 7 USB cable to charge my tablet, the AT&T data activates (a result of the automatic app syncing feature I leave on my tablet). Unfortunately, I have also had times where I cut off my data – only to see it come back on immediately after. I had a 5GB plan but reduced my plan to 3GB recently, seeing that Internet data can be consumed quickly. You may find that you’re in the same position with your Internet data each month. With AT&T & Verizon Wireless, 2GBs of data costs $60 each month (not to mention voice and texting charges; in Verizon’s case, a $40 monthly fee is ascribed for voice and text services). With AT&T, one can get a $30 plan for basic feature phones, but smartphones will require a minimum $50 monthly payment. There is a need for a data plan manager, and Google will bake this in to Android KitKat. 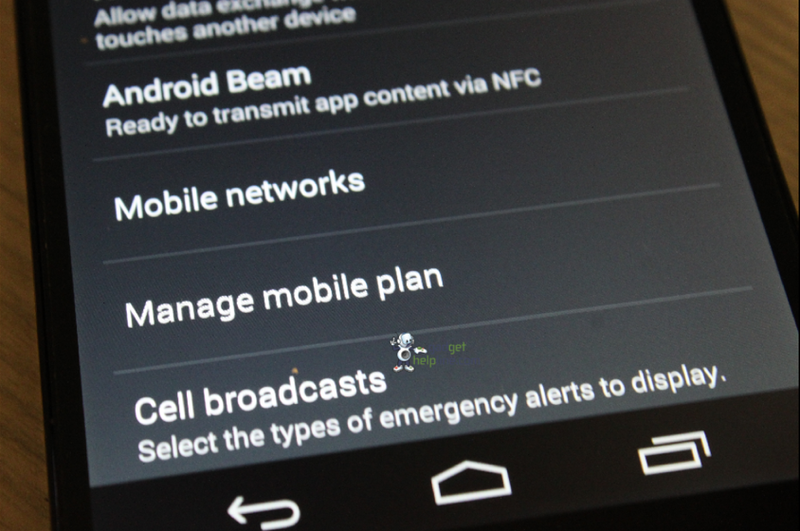 You will see a feature called “Manage Mobile Plan” under your Wireless & networks section in your settings app. It will be found beneath the mobile networks tab. Manage Mobile Plan is not unique to Android; for those who like to root their Android devices and install custom ROMs, it’s likely you’ve seen this before. Stock Android users, however, have not. Google is doing here what Apple does each year when it brings former jailbreak applications to iOS. It seems as though there may be a payments option integrated into Android KitKat, so mobile payments don’t seem to be out of the ballpark just yet. Android KitKat also looks to bring the color customization we reported on earlier, maintaining some blues while adding some white-colored icons to its layout. There will be more to tell as time goes on, so we’ll keep you updated.